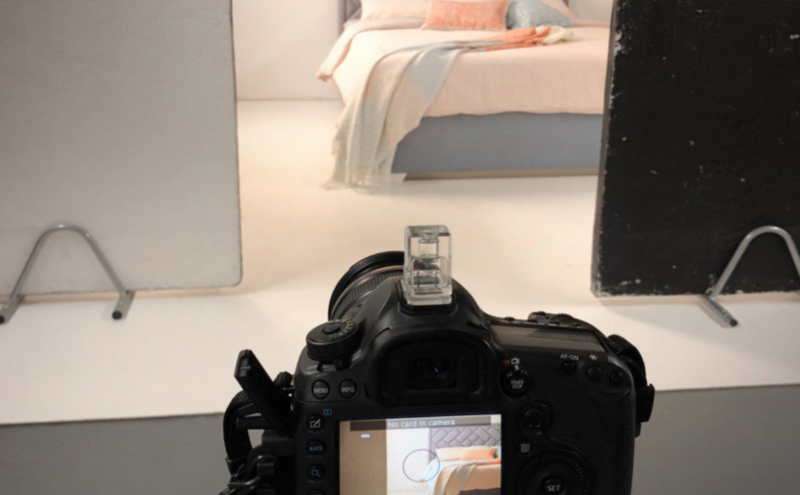 Have you ever wondered what happens during a Furl photoshoot? Perhaps not, but I’m sure now we’ve asked the question you are now interested! We have lots of products, but the best way of showing them is actually in situ. So we deliver our products to a secret location and set them up. Not just build them, but dress them just like they might look at home. This is when the Furl photoshoot really begins. We recently shared on our twitter page a behind the scenes shot of our photoshoot, and we thought that we might explain it in more detail on here. What you can see in this photo, is the finished shot on the monitor on the right hand side. You can also see the bed in the room it’s being shot it. But that’s what you can’t see – the room. Because there actually isn’t one. All that sits behind that wall is a big photography lamp. That lamp gives off light, that lights the bed in the way it would be lit from an open window. Cue the open window…but that’s just in the finished shot. What this means, is that you get to see far more beautifully styled shots. Shots of our products that show what they could actually look like in your home. So do you want to see a finished shot? And this is how they eventually end up. Even I’m speechless, and I see Furl products all the time. This is of our Illusion Bed with a brand new headboard designed by our team member Stuart. 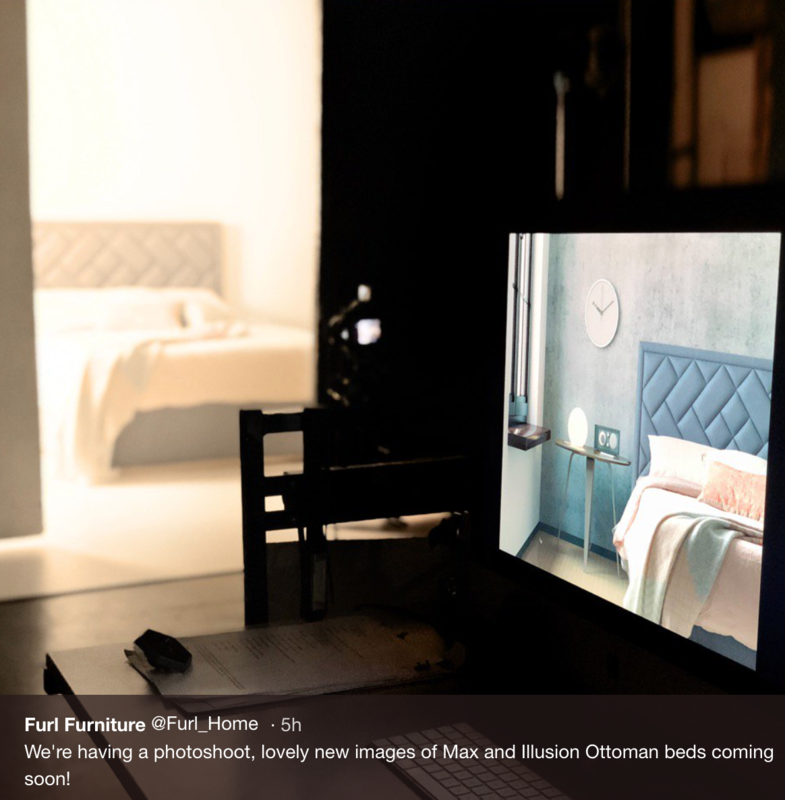 The headboard is yet to be named, so if you have any ideas then please send them to us at hello@furl.co.uk. Previous Previous post: Have you visited the Furl showroom before?